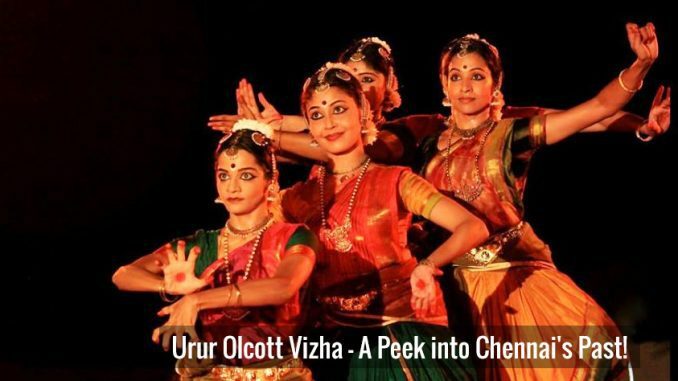 Urur Olcott Vizha – A Peek into Chennai’s Past! When a few disturbed individuals met around a couple of years back, it started a chain of events that seemed like Lego blocks falling in place. When I use the word ‘disturbed’, I mean disturbed by many happenings around us. All of us just could not fathom how some people could be termed superior or inferior to others. And just as much, how certain arts could be termed superior or inferior to others. We decided to do something about it. And that was the birth of the Urur Olcott Kuppam Vizha. 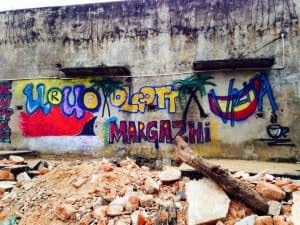 Much older than Chennai city itself are the two fishing villages of Urur and Olcott, close to present day Besant Nagar in Chennai. And many of the disturbed among us were from these villages. 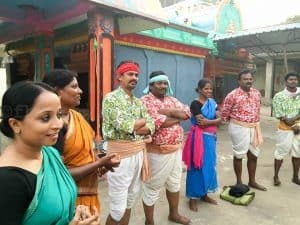 The fisherfolk have a rich tapestry of art, music and dance, villupaattu, parayaattam and others which, sadly, no urban resident ever got to experience. Chennai is renowned for its fair share of wonderfully accomplished classical music and dance artistes. The fisherfolk are also aware of these art forms like classical Carnatic music, Bharatanatyam dance which urban dwellers practise and enjoy. The very thought and vision of a lovely performing arts festival where a rich palette of various art forms would come together to be performed encouraged all of us to organise one. The festival was a resounding success, embracing the privileged, the not so privileged, the connoisseur, the first timer, people across religions, castes, etc. Thus there were people from every cross section of society who participated, got to revel in the wonderful music, dance, theatre, storytelling, the classical forms and folk forms that were performed. If anything, the vizha (festival) proved that no one art is greater than another. They have all evolved in different times, under different conditions, with different hues and this evolution is almost as old as man himself. The phenomenal strength we all drew from each other was remarkable, and this was a festival conducted entirely by volunteers. No committee, no head, no orders and commands, no reporting structure. Our meeting was usually held on the beach with all the volunteers in a circle contributing their thoughts and energies. Was it easy? No, it wasn’t! Some reacted saying that the ‘endeavour to take the classical arts to a few fisherfolk was foolhardy’. 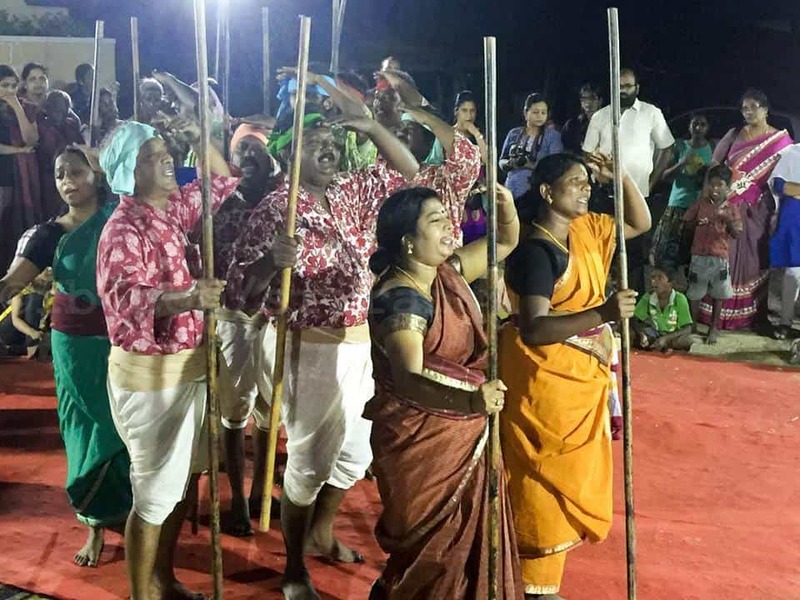 Some said that they ‘did not want to hear the parayaattam, which is a rhythmic instrument’…. and so on and so forth. But that was exactly what we thought was the need of the day – to experience something one hasn’t experienced before. With a carpet of sand as the stage, the sea as the backdrop and under the benevolent sky, all the artistes performed, art was liberating man and also liberating itself. The entire festival was crowd-funded, the public contributed what they could, artistes from across the country participated in the festival. 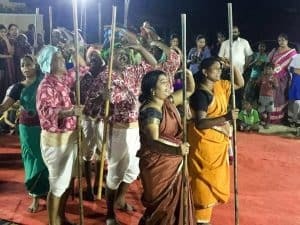 The vizha has been held on two consecutive years now, and is definitely going to be an annual performing arts festival on most people’s lists. And now, we are working towards having at least one beach concert every month! We would like to have a performance area, an open, non intrusive, inclusive environment, right on the beach for various performing artists to perform. The first of these monthly performances has also just concluded.